​During the day, Ottawa City Hall is bustling with councilors, city staff and people paying parking tickets. At night — at least, on the third Friday of the month — you'll find an energetic crowd of DJs and dancers, ready to battle it out. ​During the day, Ottawa City Hall is bustling with councillors, city staff and people paying parking tickets. But at night — at least, on the third Friday of the month — you'll find an energetic crowd of DJs and dancers of all ages ready to battle it out. That's when Th3rd Fridays, a free monthly street dance battle, takes over part of the Laurier Avenue building. 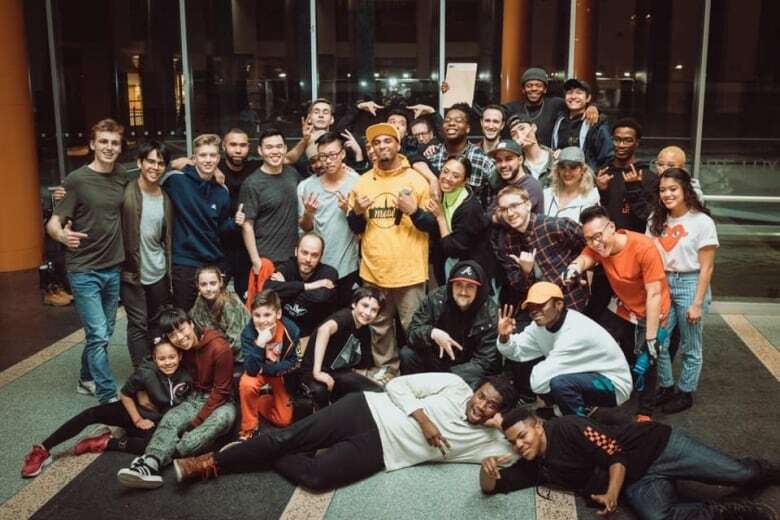 Created by Alea de Castro and Arnaldo Betancourt Silva of Moov Ottawa Dance, the battles are meant to share the art, culture and history of street dance with the city. "We're bringing together the dancers so they can showcase their talent and their skills with the Ottawa community," said de Castro. Dancers compete for a chance to win the pot of money, made up of donations, while a crowd cheers them on. A judge then selects the winners. The battles started in January 2018, but were put on hold this fall while de Castro and Betancourt Silvia searched for a new venue. 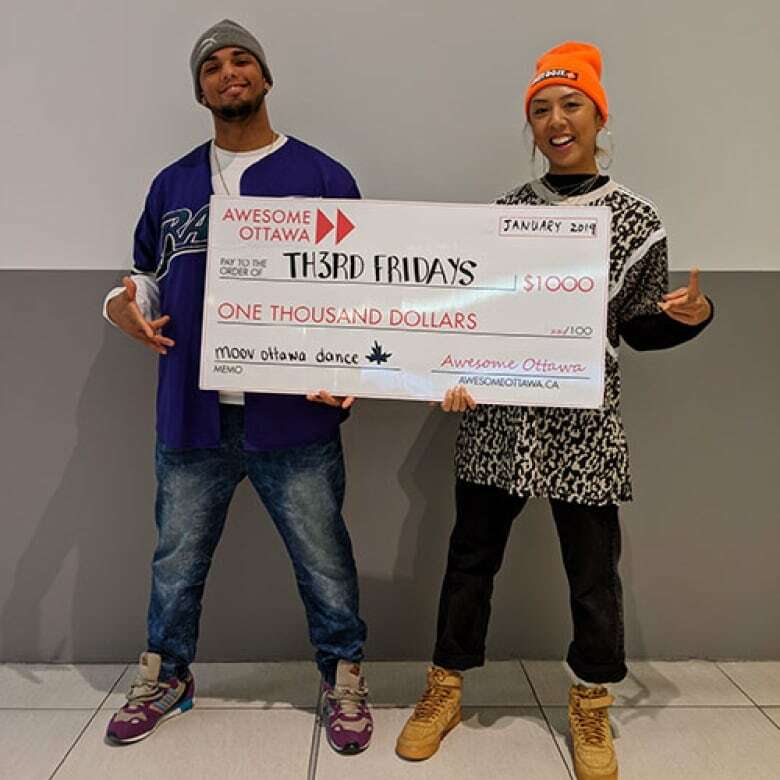 The duo applied for an Awesome Ottawa grant and received $1,000 in January 2019 to help run the events. "In Ottawa, we found there was a lack of street dance events for us, not just Arnaldo and I, but the community in general," said de Castro. "We felt there was this need to have something more frequently. To make sure that the dancers have something to look forward to, something to work towards. So we got this idea from other cities who do monthly battles." Jean Pigott Place at city hall hosted last month's event and is also hosting this month's, which gets underway tonight at 7 p.m. 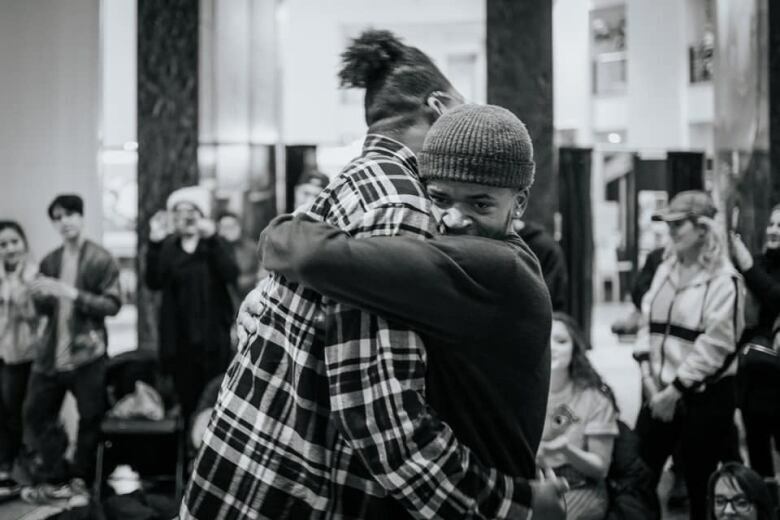 Participants at the Th3rd Fridays battle say the Ottawa dance community is like a family. "The community here is amazing," said Carleton University student and local breakdancer Max Chen. "Everyone's so inviting. It's smaller than Toronto or Montreal, but that just means you know everybody." Battle judge Brad Fitchett agreed. "A lot of these dancers, we don't just see each other at practice. We don't just see each other at battles. We hang out outside of this too. It's a beautiful, beautiful thing," he said. "It's truly a family and community thing, and it's a safe spot. It's a safe spot for people to just genuinely enjoy life, dance around and be happy."